Norfolk General Hospital in Virginia has recently launched AccuBoost. 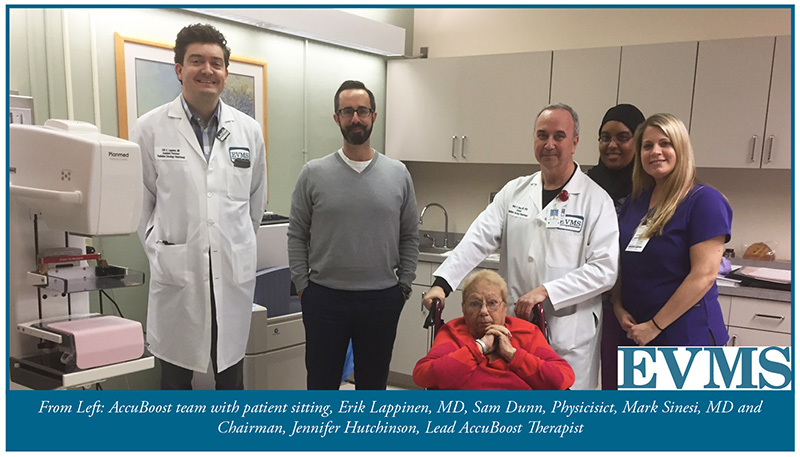 This facility, part of the Sentara Network of hospitals, is the third installation in the city of Norfolk to offer the AccuBoost procedure. The effort at this site is spearheaded by Mark Sinesi, MD, Ph.D., Chair of Radiation Oncology. He is assisted by doctors Ed Crandley, Erik Lappinen and Mark Shaves. Dr. Sinesi stated, “I have not experienced this level of customer support from any other vendor,” during the launch of AccuBoost. He added, “without the on-site support, we could not have treated a challenging case in a patient that required special attention. InterCommunity Cancer Center at Lady Lake, part of the Vantage Oncology Group, has recently initiated the AccuBoost offering from this Central Florida location. The effort at this site is led by Dr. David Catalano. NEA Baptist in Jonesboro, AR is one of the latest additions to the family of AccuBoost users. This is the third site within the Baptist Memorial Hospital Group to be offering AccuBoost, following the lead of Baptist Memorial Golden Triangle in Columbus, MS and Baptist Memorial in Oxford, MS. The addition of the third Baptist Memorial facility speaks volumes about the clinical successes of the offering and the fit and function of AccuBoost in rural community hospitals, who are striving and succeeding to make the best technology available to their patients. 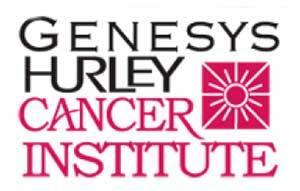 AccuBoost welcomes Paul Koc heril, MD, who has recently joined the staff of Genesys Hurley Cancer Institute in Flint, MI. Dr. Kocheril was quick to embrace the benefits of AccuBoost technology and has been treating many of his patients with it. Genesis Hurley is the only facility in Michigan equipped to offer the AccuBoost procedure. Dr. Ahmad Akl, the Medical Director at this site, is one of the early adopters and champions for the AccuBoost procedure. 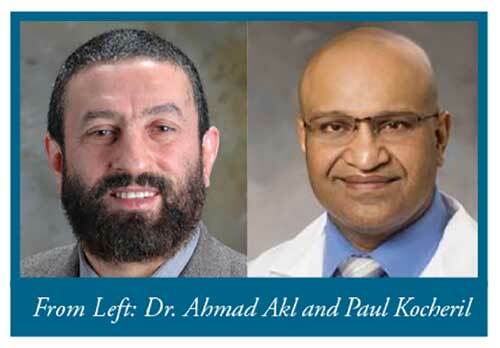 He and Dr. Oh have been offering the procedure since 2009 for the benefit of early stage breast cancer patients in Flint and, occasionally, for out of town patients who are often willing to travel for the treatment. 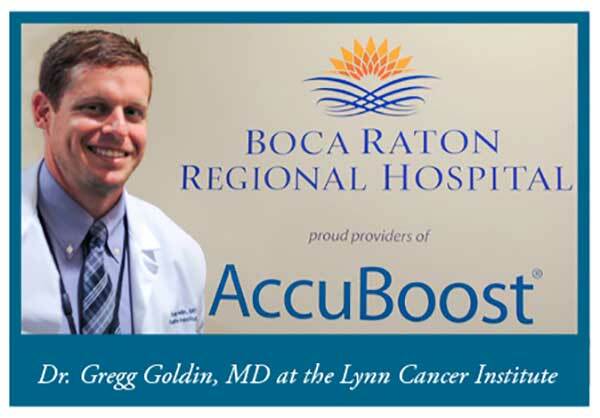 AccuBoost welcomes Gregg Goldin, MD, who has recently joined the staff of Lynn Cancer Institute at Boca Raton Regional Hospital in FL. Dr. Goldin has been treating patients with AccuBoost since joining the center. He is both excited and impressed by the technology and it’s many benefits to his patients. Dr. Rashmi Benda, the author of the famous article “Are We Missing the Target?”, when describing the boost dose, is also at this site. She is one of the early adopters and champions for the AccuBoost procedure. Lynn Cancer Institute has been offering AccuBoost since 2009 under her guidance.